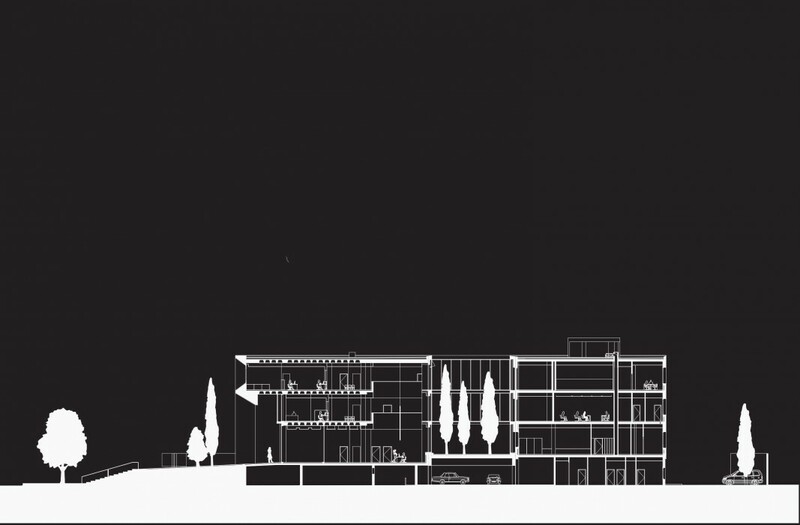 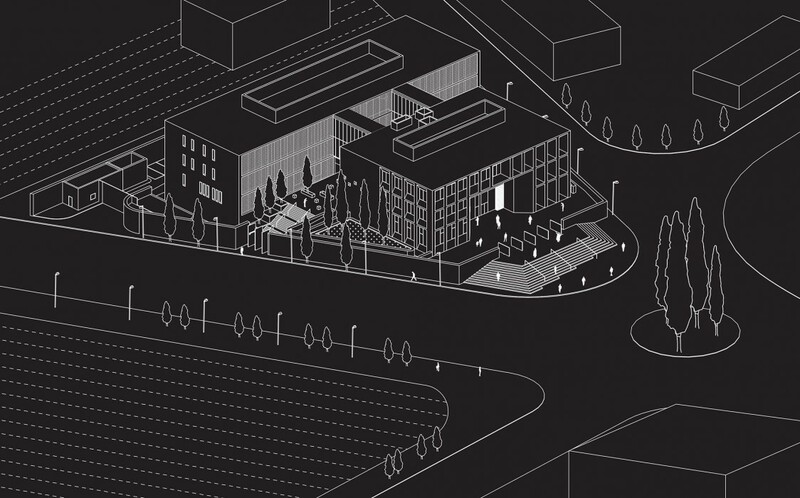 The urban concept proposed, determines a succession of volumes. 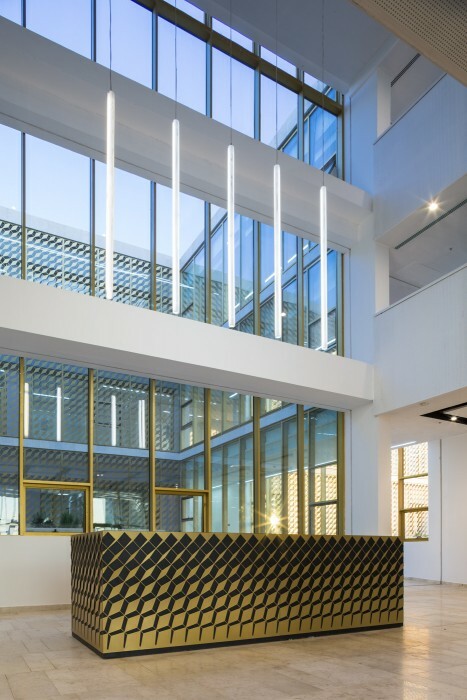 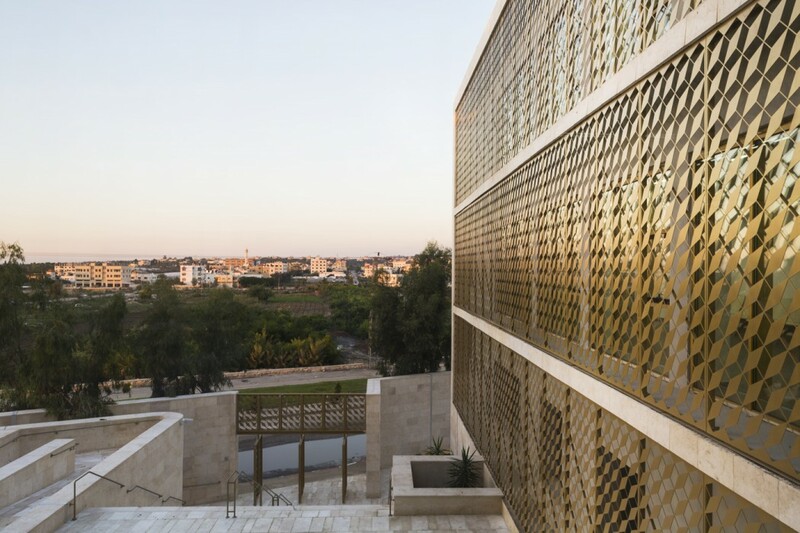 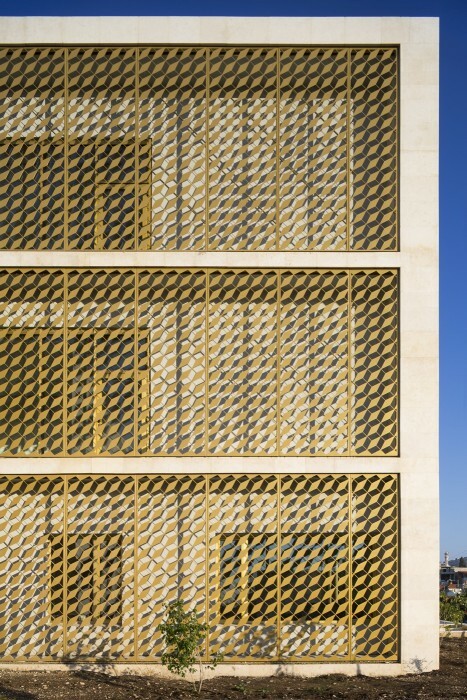 On Toulkarem’s way to the city, a first building, at the top of the triangular parcel, accommodates public services while a second building unveils itself along with a locally cultivated interstice space. 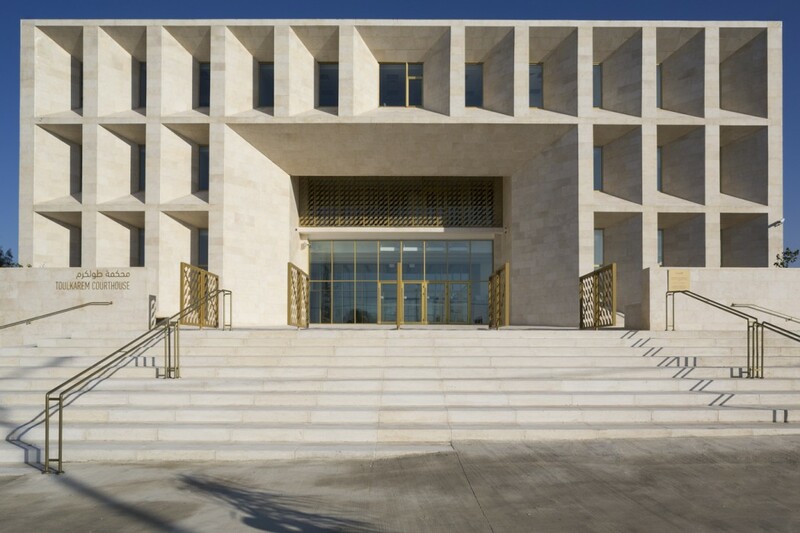 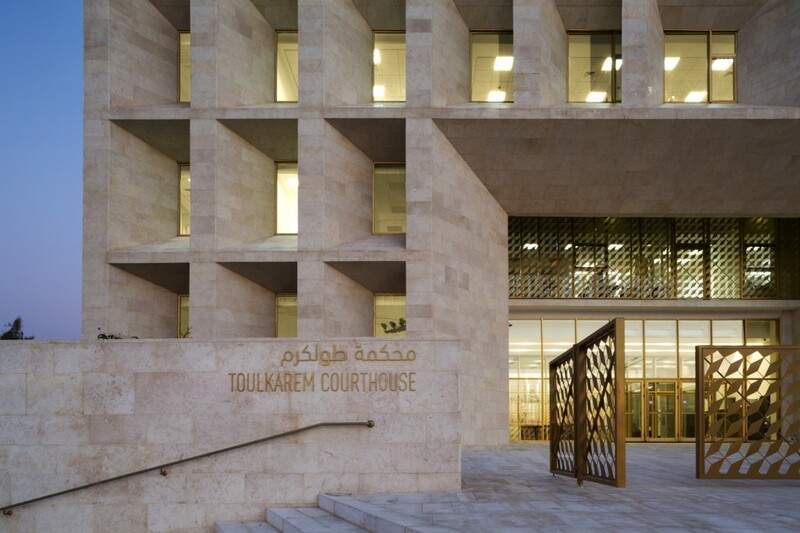 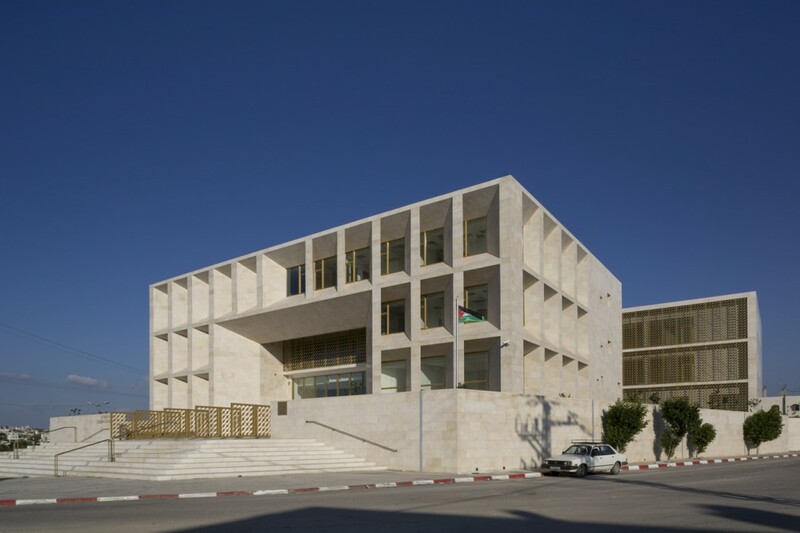 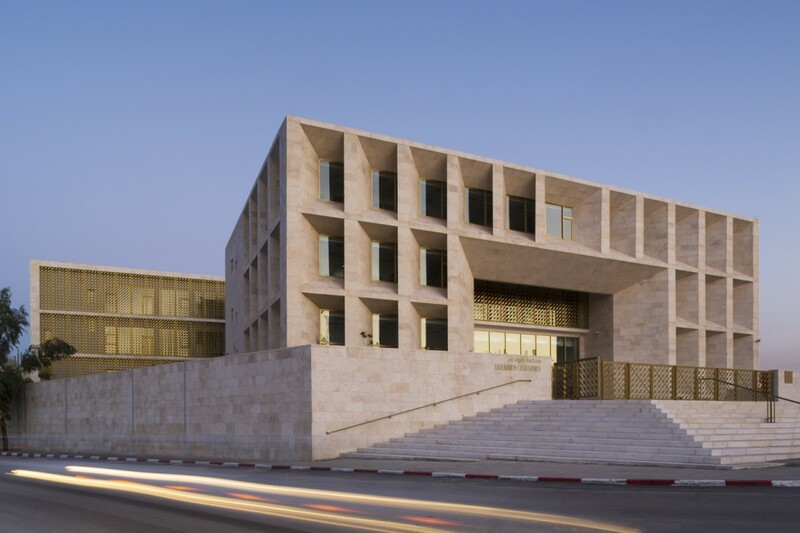 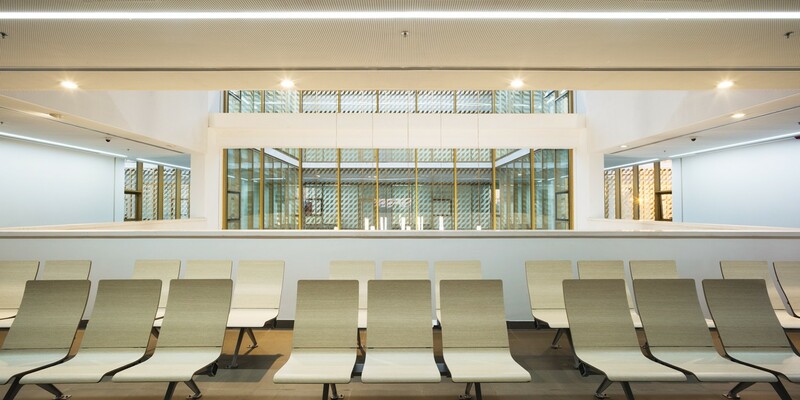 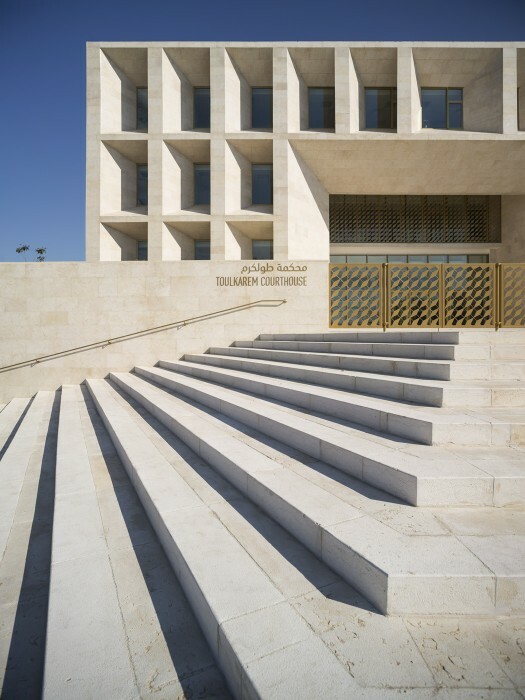 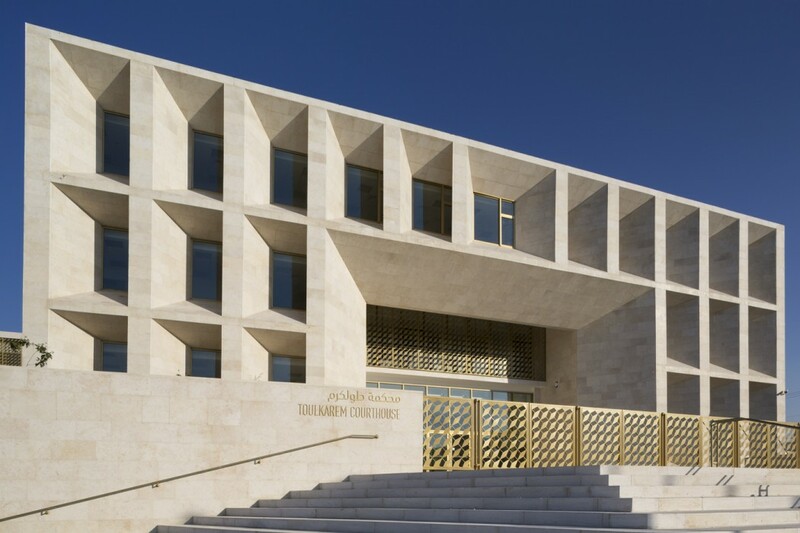 The Toulkarem courthouse architecture creates an equilibrium state of opposed architectural ambiances.The entrance building accomodates the administration of the courthouse including the registries, cashier and notary.Its internal facades are, in contrast with the outter stone envelope, light and delicate openned towards a cultivated linear space.The courtrooms building, is in direct relation with the planted space. 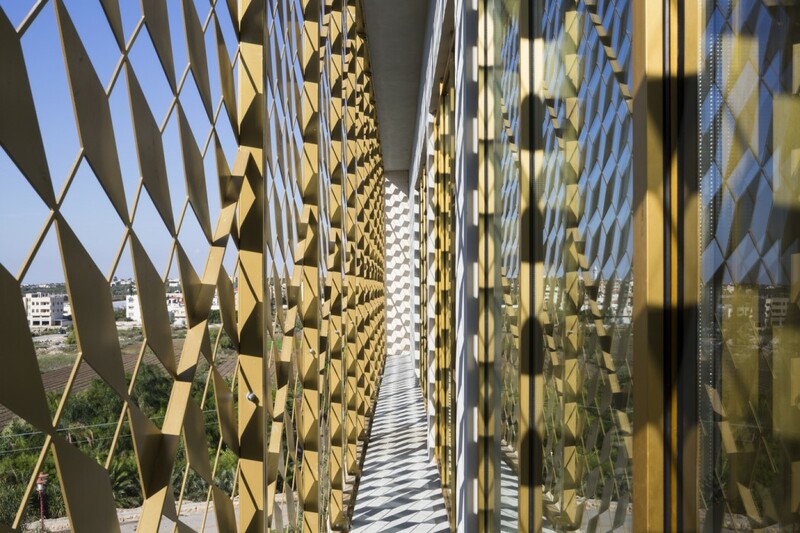 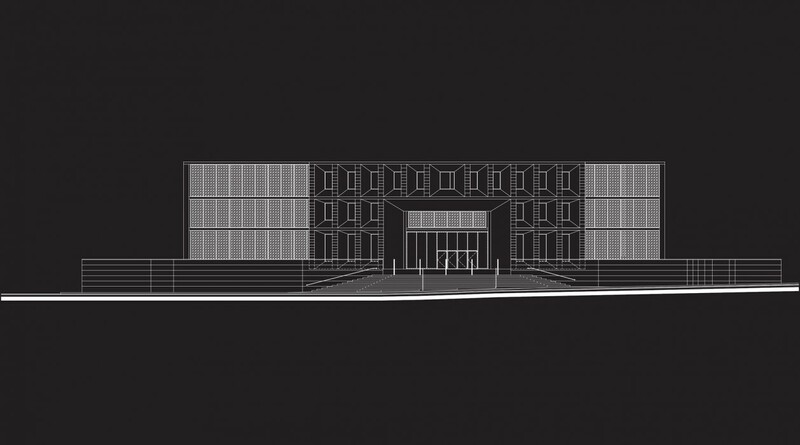 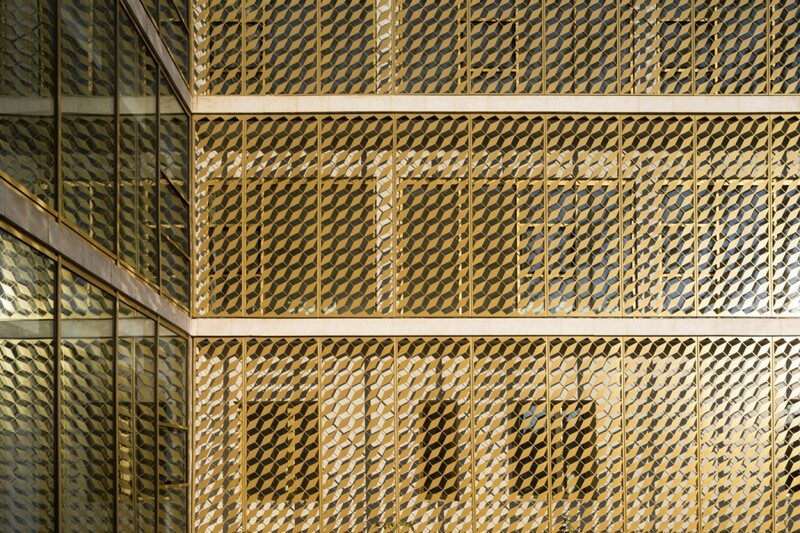 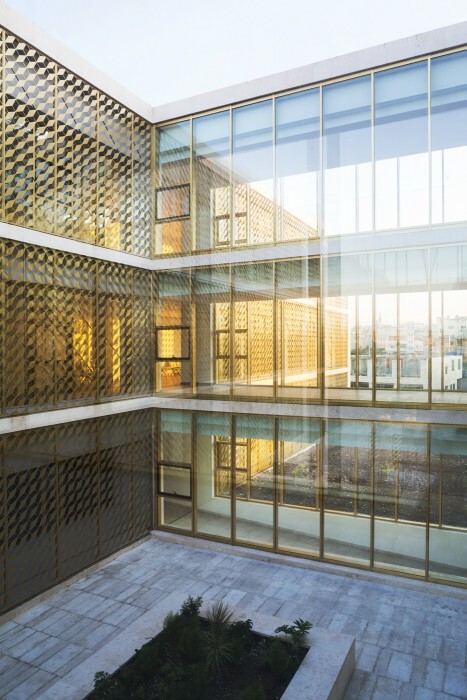 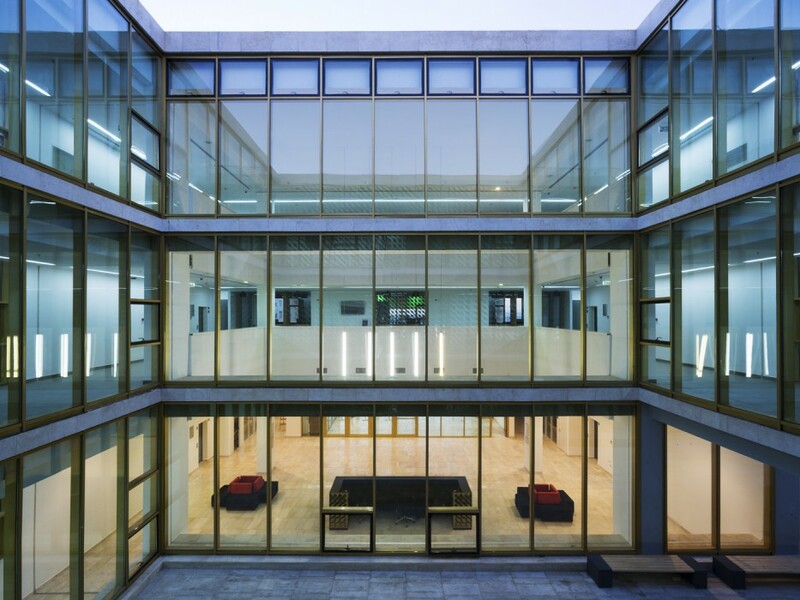 Its facades are made out of a fine shimmering steel envelope, crossing notions of transparency and confidentiality. 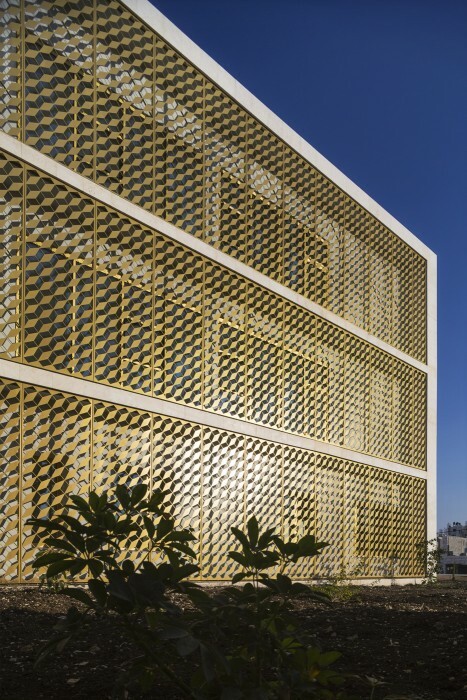 It filters light and is permeable to the cultivated island of freshness.